Alicia Bernstein received a Master of Science in Audiology in 1998 from Miami University in Oxford, Ohio. Upon obtaining her Master of Science degree, she completed her clinical fellowship year. Her fellowship year was split between a hospital and private Otology practice in Detroit, Michigan. 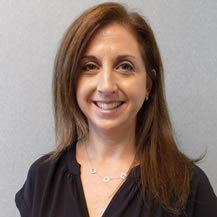 Ms. Bernstein has gained a variety of experiences and extensive knowledge in a board scope of audiology services. She is skilled in the diagnosis and management of hearing loss and balance disorders in both adults and children. Additionally, Ms. Bernstein is experienced in testing for auditory processing disorders and Universal Hearing screenings.